NEW YORK (Scrap Register): Following the implementation of China’s new import restrictions, there has been a dramatic fall-off in volumes of mixed paper and plastics scrap received from the USA. At the same time, America's exports to other countries are well short of compensating for the loss of Chinese business, according to latest statistics released by the US International Trade Commission and the US Census Bureau. The USA shipped just 11 212 tonnes of mixed paper to China in January this year versus 208 834 tonnes in the opening month of 2017. To all overseas destinations, US deliveries of the same grade tumbled 39% from 316 654 tonnes to 193 011 tonnes. 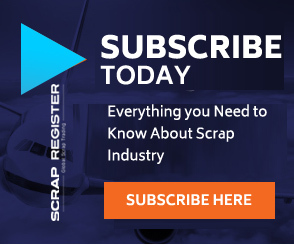 'About half of the US exports of mixed paper that would normally find a home in China managed to find homes in other export markets,' the US Institute of Scrap Recycling Industries points out in its latest Weekly Market Report. 'This also seems to be the case for pulp substitutes and partially for news grades. The reduction in corrugated and mechanical/brown grades appears to track consistently with the drop in Chinese demand,' it is added. Comparing the same two months, the latest plastics scrap data also confirm the huge impact of China's new import policy, with US exports to all destinations plummeting 43% year on year for HDPE, LLDPE and LDPE combined, 19% for polystyrene, 34% for PVC, 68% for PET and 31% for mixed plastics.